Tout comme Jacques Mayol, dont Luc Besson fit en 1988 le héros de son Grand Bleu, c’est enfant que le monégasque Pierre Frolla a attrapé le virus de la plongée. Dans le sillage d’un père qui fut membre de l’équipe nationale de chasse sous-marine, la stimulation d’un frère à ses côtés pour pousser toujours un peu plus loin le challenge, Pierre grandit palmes aux pieds, la Méditerranée comme terrain de jeu et d’exploration. Plus tard à Nice où il se prépare, au sortir des années lycée, à devenir professeur d’éducation physique que Pierre fait une rencontre décisive. 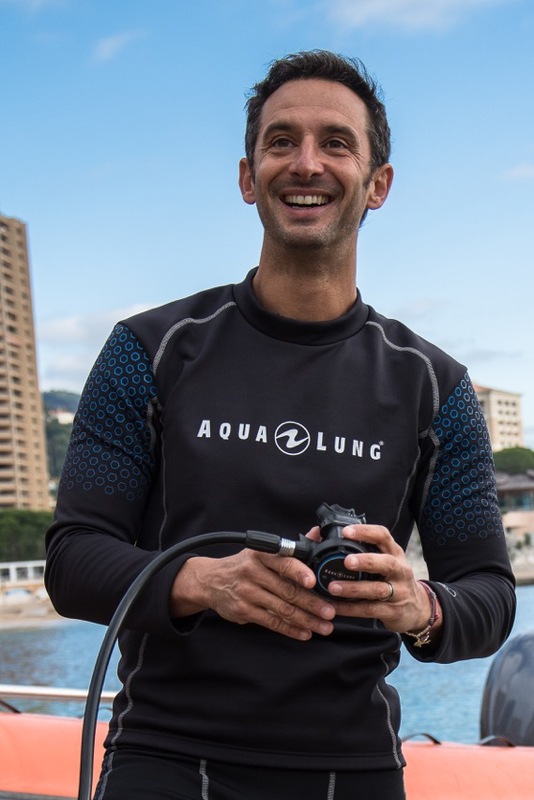 Just like Jacques Mayol, the hero of Luc Besson’s film Le Grand Bleu in 1988, the Monegasque Pierre Frolla caught the virus of diving as a child. 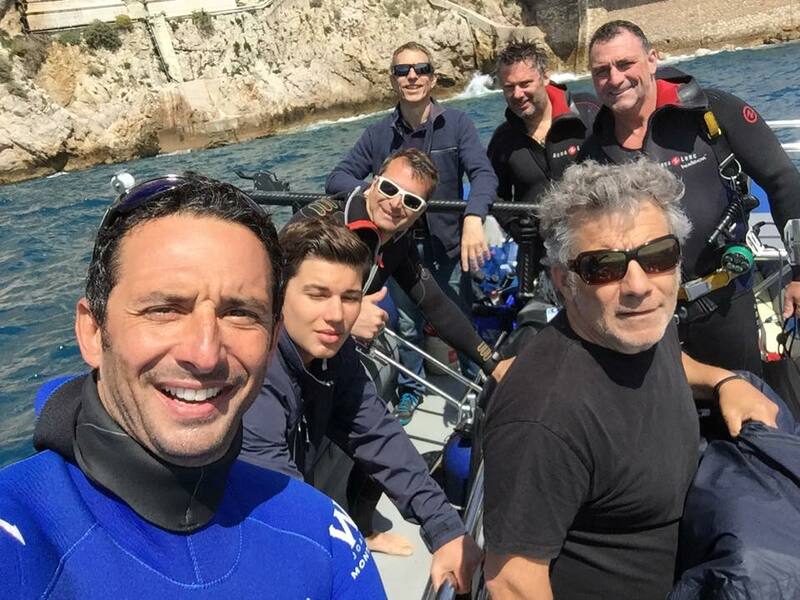 In the footsteps of a father who had been a member of the national deep-sea hunting team and with the encouragement of a brother at his side always pushing him to further the challenge, Pierre literally grew up with flippers on his feet and the Mediterranean sea as his playground and field of exploration. Later in Nice, after finishing high school, Pierre was in the process of becoming a physical education teacher when he made a decisive encounter. Freediving world recordman in static apnea in 1990 and member of the French Apnea team A.I.D.A. (Association Internationale pour le Développement de l’Apnée), Claude Chapuis is behind the first competitions and took on board this promising young man to share in the adventure. 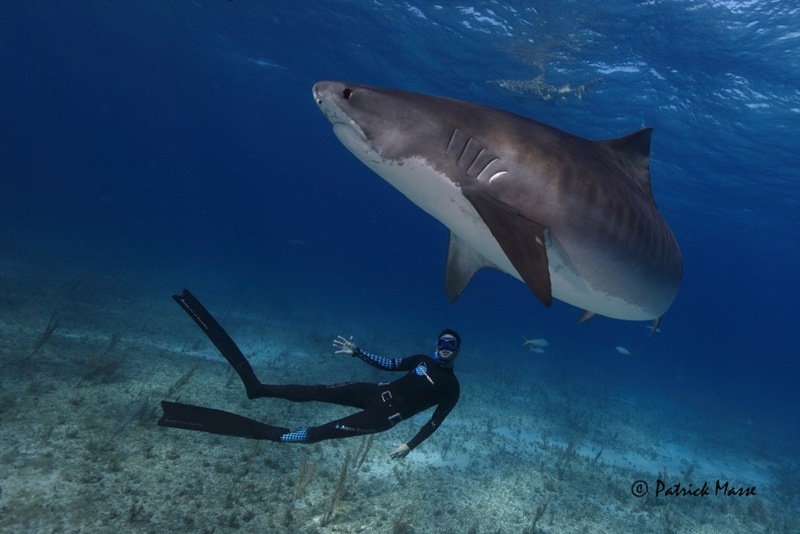 In 1999, Pierre Frolla became World Recordman of Freediving. 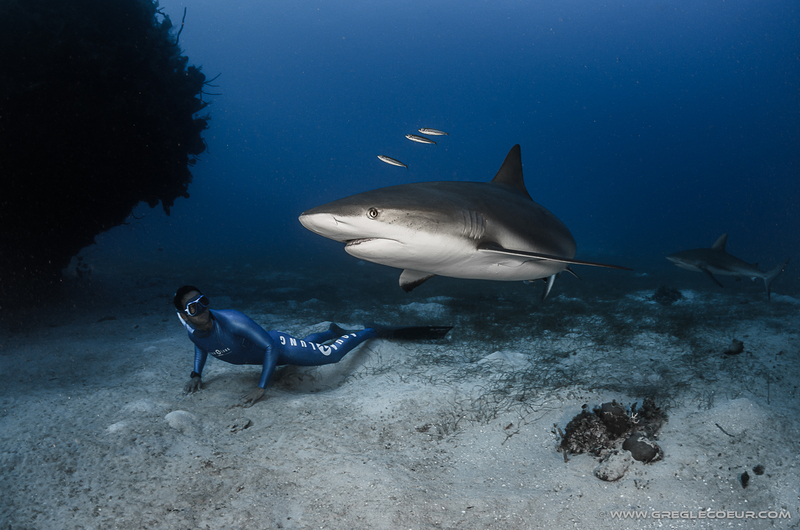 This discipline consists of descending alone with no flippers, no mask, nothing but the sole strength of the arms and is one of the three disciplines of competitive freediving and apnea. In 2004, he achieved his fourth world record in the category «Variable Weight», an extreme discipline which the general public was able to discover in the film Le Grand Bleu. Weighed down by a lead sled, the ascent to the surface requires the sole strength of the limbs. Pierrre Frolla reached 123 meters, an uncanny depth the pressure of which (13 kg per cm2) can only be withstood by a fully trained body with an incredibile self control and all the sensations going with it. An overwhelming emotion. Besides his own challenges, Pierre Frolla’s life path and work are also those of a team. His companions in the adventure which include Fred Buyle and Jérôme Espla, all share the same values of freedom, humility, courage, the need to share, passion and honour. All these values are conveyed by L’Ecole Bleue and through other initiatives to help disadvantaged children (Opération Poséidon, Amade Monaco project (Association Mondiale des Amis de l’Enfance), the fight against cystic fibrosis, etc…). The protection of the environment is the link to make today’s children of the Earth tomorrow’s great « sea-carers » !